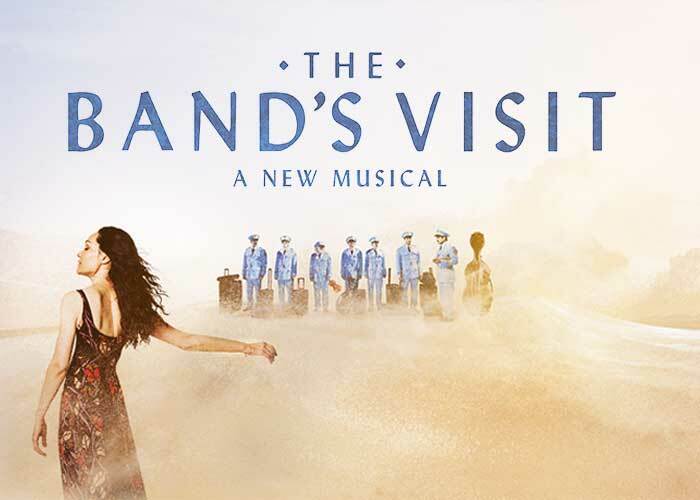 Binghamton, NY – Broadway in Binghamton would like to congratulate the entire company of THE BANDS VISIT on their 10 Tony Awards including Best Musical. Albert Nocciolino, President of Broadway in Binghamton and one of the Co-Producers of the show is thrilled to be a part of this beautiful production. IT IS TIME TO FALL IN LOVE AGAIN! In an Israeli desert town where every day feels the same, something different is suddenly in the air. Dina, the local café owner, had long resigned her desires for romance to daydreaming about exotic films and music from her youth. When a band of Egyptian musicians show up lost at her café, she and her fellow locals take them in for the night. As their lives intertwine in unexpected ways, this once sleepy town begins to wake up. It rejoices in the way music brings us to life, brings us to laughter, brings us to tears, and ultimately, brings us together. Broadway in Binghamton continues to present spectacular world-class National touring Broadway productions in Broome County, featuring the best in music, dance, comedy, staging and costumes. The 2018-2019 M&T Bank Broadway season includes The Wizard of Oz, Rodgers & Hammerstein’s The King & I, Chicago, Finding Neverland and Rodgers & Hammerstein’s The Sound of Music. Season tickets are on sale now! For more information click here.